Hello! I am Hallie Sherman, and I am a licensed speech-language pathologist. I am excited to be here today to share some strategies for classroom teachers to use in their classrooms to promote communication (for ALL students, not just those receiving speech). 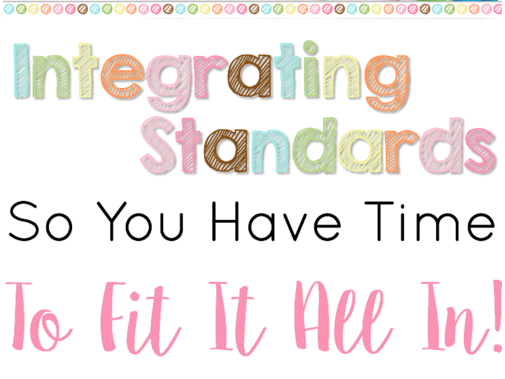 Thank you, Rachel, for allowing me this opportunity to share strategies on your blog! “Communication? Why do my students need that in school?” Well, communication is involved in a lot of factors of the school day. Students need to listen, express answers, write responses, and interact with peers and teachers. Communication is a necessity in the classroom. Can you imagine the struggles one would have if they cannot do any of those things? Learning will be quite a challenge! Can you picture a student in your classroom struggling with any of those? Even if your students are not struggling with communication, they can always benefit from some tips and tricks to help them improve. Written: Have them practice writing new vocabulary words in sentences. Oral: Have them say out loud new concepts. Have them discuss with their peers in groups. Tactile: Students should practice touching it. Tap out syllables, and write vocabulary/spelling words using rice or clay. Tap out math concepts. Why is this important? Every student learns differently and can benefit from learning in a variety of ways. Try and present new information in a variety of ways to give students many opportunities to learn. You may start to see patterns on how they acquire new information. Why do students need to be their own advocate? Students need to learn that it is OK to ask for help. It is OK to need more time. It is OK to not understand right away. 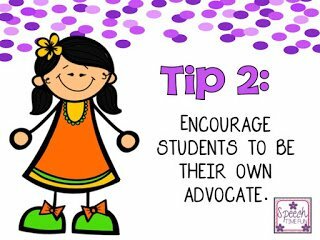 Encourage students to speak up! They should not be in trouble or afraid to ask for help. It is great for them to recognize when they do not understand. Set up a routine in your classroom, such as students asking for help once directions are completed. Model the appropriate way to ask for help (i.e. raising hand vs. calling out). It is also important to teach students to not make fun of their classmates for asking for help. 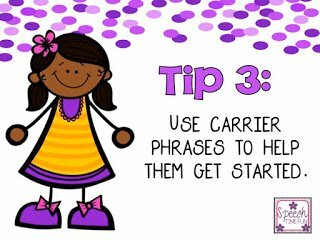 What are carrier phrases? They are the cues to how the response should begin. For example, if you are working on main idea, and the question asks, “What was the story mainly about?” You can help your students get started by responding with, “The main idea is….” or “The story is mainly about…” Some students struggle with retrieval or may be unsure how to word their response. This way they can get started with help to retrieve that response. Don’t be afraid of long pauses. Some students need that extra time to think of their responses and formulate their verbal answers. I like to tell my students that if they need more time, they can ask for it, and they should never lose eye contact. This way, the communicative partner knows they are still thinking and not done talking. Want these tips as a printable handout? You can access them FREE in my TpT store by clicking HERE! Hallie Sherman, M.S. CCC-SLP is author of the blog, Speech Time Fun. 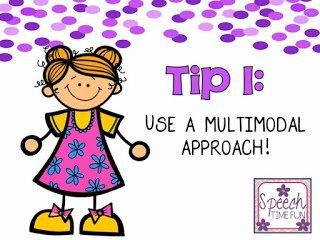 She enjoys sharing tips and tricks for busy SLPs. 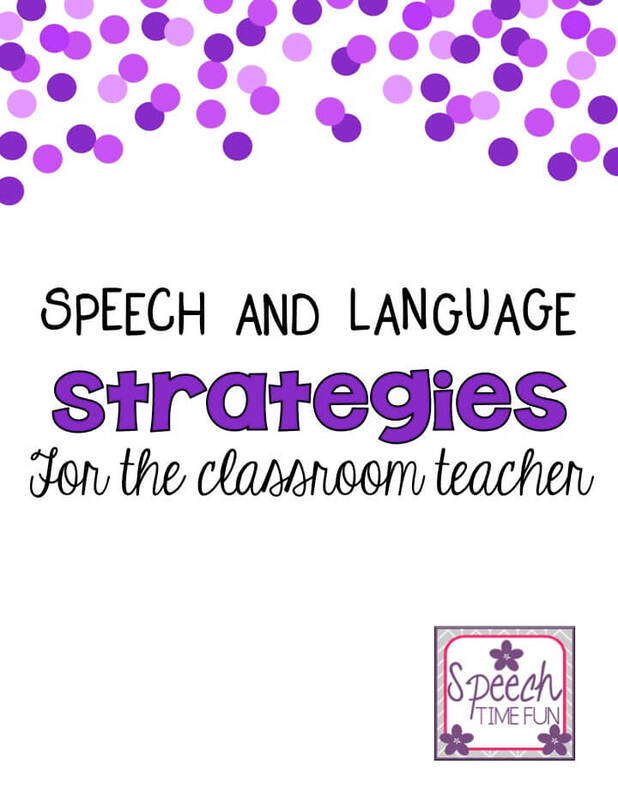 Visit her TpT store or follow her on Facebook, Instagram, Pinterest, Twitter, or Periscope for more ideas to promote speech and language in the classroom.